Senate President Mike Miller and his Maryland Democratic Senate Caucus Committee are up to their usual tricks again in lying to the people of Maryland, this time by falsifying statements made by a State Senate Candidate to Red Maryland. The Democrats are attacking District 3 Candidate Craig Giangrande for statements that he made on the Red Maryland Candidate Surveys published during the primary election. The problem is, Democrats are citing Red Maryland as a source for statements that Giangrande never made to us. Giangrande also supports a radical policy that could lead to banning common forms of birth control like the IUD or the pill. I believe life is to be protected from conception to a natural death. That’s it. That is all Giangrande said. So yes, it would be safe to say that Giangrande wants to protect life and end all forms of abortion. But what Giangrande never said was anything about criminalizing abortion. 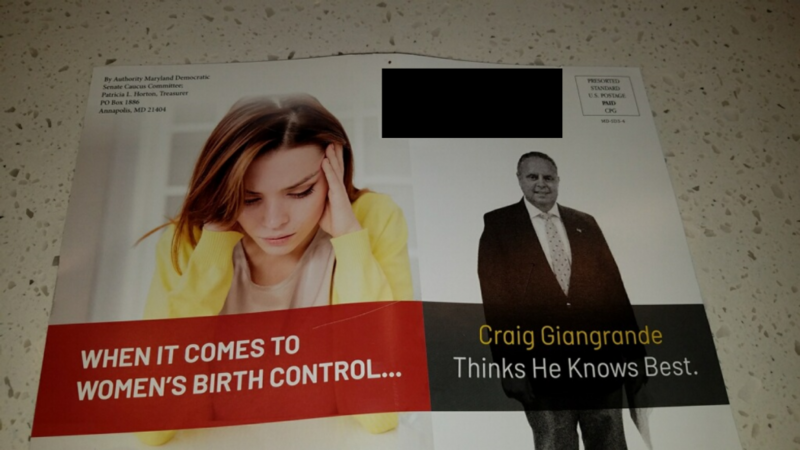 Nor did he say that he “supports a radical policy that could lead to banning common forms of birth control like the IUD or the pill.” In fact, Craig Giangrande did not once mention birth control at all in his responses to our survey. 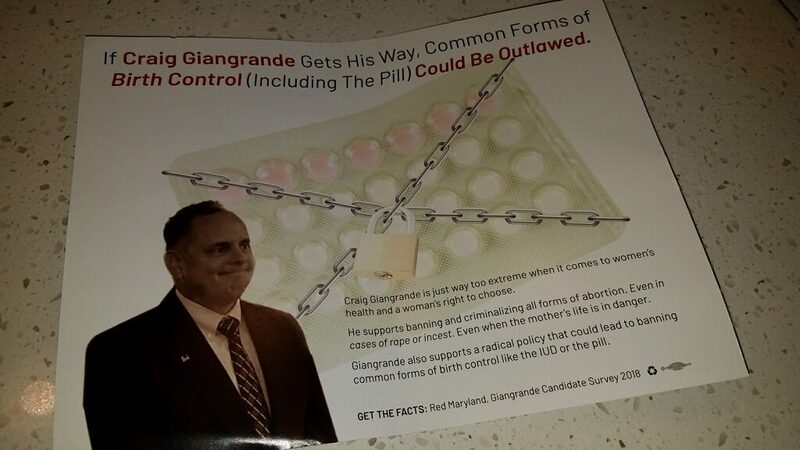 This, of course, is not the first time Senate Democrats have sent deceitful mailers during this election, including implying that Democrats were supporting Larry Hogan and an earlier attack on Giangrande designed to prop up his primary opponent. These are the tricks that desperate Democrats will continue to use in the last five weeks until the election to try to desperately cling to power in Annapolis….